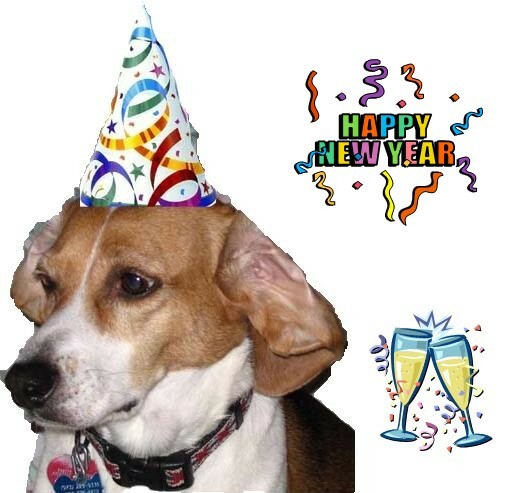 We at Beagles On The Web wish each of our readers a happy and healthy 2007. As we move into our 12th year on the web, we look forward to another year of providing valuable information, helping to find homes, and sharing stories about our favorite breed. I will give my dog at least half an hour of my undivided attention each day. That may include training, playing in the backyard, or simply snuggling on the sofa with my best furry friend. I will groom my dog at least once a week, brush his teeth and keep his nails clipped. I will take an interest in what my dog is eating and broaden my awareness of the ingredients that go into dog food. I will make sure my dog is up-to-date on shots (or titered) according to the laws of my state, tested for heartworm and kept on heartworm preventative. 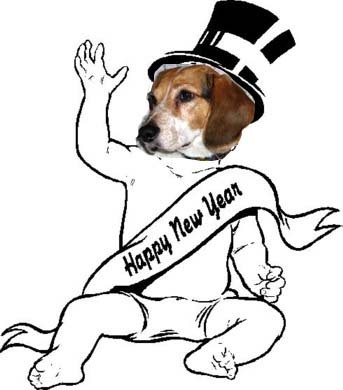 I will donate to a local shelter or rescue organization that helps homeless Beagles to find new homes. This may include blankets, dog food, money, or my time. I will spread the word to those who are less informed about the plight of homeless dogs. I will explain how purchasing dogs from retail stores only promotes the puppy mill industry, and why that is a cruel practice. I will encourage friends and family to spay and neuter their pets.